GPL being one of the most trusted names in the field of architecture has now started to work for real estate in Gurgaon. Some of the new housing projects in Gurgaon have also been started by GPL infrastructure in order to provide a new face to housing in Gurgaon area. A number of residential projects in Gurgaon are going-on and GPL EDEN HEIGHTS by GPL infrastrcture is still one of the most demanded Gurgaon properties because of its uniqueness and quality. 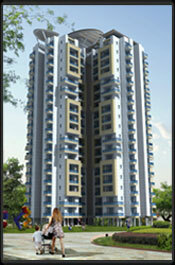 As an existing builder in Gurgaon, GPL Eden Heights plays a key role in the competition among other Gurgaon projects. Even today any new residential project in Gurgaon follows the set standards by GPL and people finds GPL the best to provide well designed residential property in Gurgaon.